A couple of weeks ago I had the idea of inviting the ten people running for two seats on Tacoma’s City Council in next Tuesday’s Primary to answer the same five questions for Five Question Friday. Given the nearness of the election, I emailed them all at once. The three candidates (Anders Ibsen, John Hines, and Tara Doyle-Enneking) running for Tacoma City Council Position 1 all got back to me fairly quickly. Of the seven candidates running for Position 3, only four of them (Keith Blocker, Kris Blondin, Valentine Smith, and Justine Leighton) chose to participate. Below you’ll find a question followed by the answer from each of the candidates who responded. Answers will be listed in the order I received them. 1. What can you tell us about your background? I’m a lifelong Tacoman who loves his home neighborhood and wants to make it even better. I’m a product of our schools, got my first job here, got married and bought our first home here, and it’s where we’re going to raise our family. I’ve had the privilege of representing you for the past four years on the City Council, fighting to preserve and enhance our quality of life, giving you accessible representation at City Hall, and advancing our community’s progressive values. I work as a real estate appraiser when I’m not politicking. My beautiful wife Beverly is a family law attorney, JAG Officer in the WA Army National Guard, and an all-around superstar. We attend St. Leo’s, work in our neighborhood community garden, and are the proud parents of two rescue kitties. I live in Salmon Beach, I helped raise 4 Step-Daughters, my husband Mike and I have owned a small business in Tacoma for 14 years. We play Co-ed soccer together (he played for the Tacoma Stars back in the day), Dirt-bike together, golf and we love living in Salmon Beach where we can crab, paddle board and enjoy our unique community. We are blessed to have one of our newest grand-daughters (and family) moving in just a few cabins down. I am a U.W. Graduate and have my Master’s from P.L.U. in Marriage and Family Therapy. I have had the opportunity to be a speaker and participant in over 150 Charities and have an extensive background working with kids and teens. I bring a wide array of experience from community and social service, working with families, couples and kids to having a strong background in Finance, Sales and Management along with all of important aspects of running a small business. I am a lifelong Tacoma resident that has lived in the South, West and North Ends of the city. My dad was a truck driver and my mother was a pawn broker. I was very lucky to end up with scholarships to attend the University of Puget Sound and become one of the few in my family to graduate from college. Now I am a high school government teacher and football coach and have dedicated my life to service to others. I have been involved in many organizations including the College Success Foundation, the Washington State Council for the Social Studies, and the University of Puget Sound Alumni Council. Raised by a single mother in Philadelphia, PA., I experienced extreme poverty at a very young age. Through this experience, I learned the importance of education, collaboration and how to overcome adverse conditions. I have been a resident of Tacoma for almost 10 years. While living in Tacoma, I was diagnosed with macular degeneration and informed that I was legally blind, with no possibility of correction. In a matter of months, I was able to connect with the Washington State Services for the Blind, which guided my self-determination in earning a Bachelor’s degree in Communication Studies at The University of Puget Sound. I am currently the Director of Middle School Programs for the non-profit Peace Community Center, providing academic coaching, life skills training and early college preparation to students at Jason Lee Middle School. I also sit on the board of the FISH Food Bank, whose mission is ‘to provide nutritious food to people in need with compassion, dignity and respect’. I was born and raised in Tacoma-Pierce County and graduated from the University of Washington, Tacoma in 2000 with a degree in Interdisciplinary Arts and Sciences. I have worked in non-profit development, marketing and advertising, and have owned and operated two businesses in Tacoma since 2003. I purchased my home in Central Tacoma in 2001 (14 years) and look forward to many more years of living in this diverse and ever changing district. I was born in the Bronx and grew up in Yonkers and then Connecticut. I joined the US Army in 1999 as a way to be able to attend college. While I was in, I spent a year in South Korea and deployed to Kosovo, Afghanistan, and Iraq. I have two older sons who live in Des Moines, WA and my wife and I had a daughter ( Ellen Ripley Smith) four months ago at St. Joe’s. I am 33 years old, live in the Hilltop and was born and raised just outside of Puyallup near Parkland. I graduated from Franklin Pierce High School in 2001 before attending Washington State University where I attained a Bachelor of Science in Agriculture with a teaching certification in 2006. I taught high school in Fife for several years until I was laid off in 2009 due to the Great Recession. For two years I worked on and off unemployment during the Great Recession with odd jobs such as the State Legislature for one session and several campaigns. Today, I am the Government Relations Officer for Pierce Transit where I manage the Agency’s federal, state, regional and local policy and lobbying efforts. I am the former Chair of the Central Neighborhood Council; Co-Chair of the Hilltop Subarea Planning effort and currently Co-Chair the City’s Transportation Commission as well as serve on the YWCA Pierce County’s newly formed Associate Board. I also just received a Master of Public Administration from Evergreen this past June. My partner of 7 years lives in LA as he works for Walt Disney Animation Studios (think Frozen). I have a fat Cat named Tucker James Leighton that I have had since I was in college. 2. What do you think are the three most important issues facing Tacoma right now? Wage equality is important and certainly a hot topic for Tacoma right now yet we need to be mindful to keep the minimum wage competitive so that we can do better to attract business to Tacoma. Ensuring the financial stability of city government by bringing more business expertise to the council is important. Addressing our roads and transportation infrastructure is something I hear on a daily basis and fortunately Proposition 3 should provide voters a viable option to address these concerns. * It is important to note that this question addressed Tacoma as a whole and so I responded in a broader way, however, I would add to that District 1 has some very community specific issues such as the Proctor Station development, The Weyerhauser Mansion use and the Mason Gulch. These are equally important district concerns and will be a priority for me to respond with action to if elected. The most important issues are affordability, accessibility, and sustainability. Affordability is necessary to ensure that we examining the holistic costs of living in Tacoma for all of our residents and not ensuring that we are distributing the burden and costs of the living and working in the city fairly. Accessibility has two critical parts. One is physical accessibility and it is needed to make sure we have a city that allows citizens to move easily about the city through investing in our infrastructure and our public transportation. The other is access to institutions so that all residents feel confident that they can pull on the levers of power. Sustainability is working to establish development practices that can be sustained over decades and making sure that we continue to look at Tacoma as a long term project, involving all of the citizens, to build toward a lasting goal. We have watched too many businesses leave Tacoma. We simply need to do more to recruit and retain businesses that can provide family wage jobs with good benefits. As a council member, I will bring business, government and labor leaders together to strengthen Tacoma’s ability to bring innovative companies to our city. We have the same number of police officers that we had in the 1980s. We can do better. It’s time to reprioritize our police to ensure our neighborhoods are safe. I will work to see more on-street patrols in our neighborhoods to keep the relationship between our neighborhoods and our police as strong as possible. 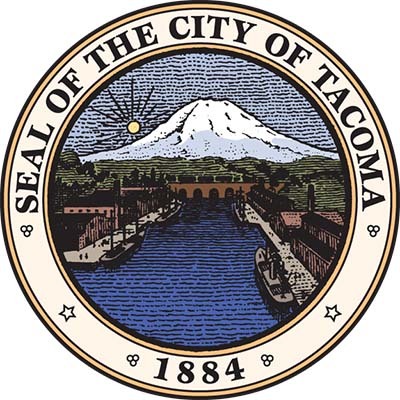 The City of Tacoma is not keeping up on basic repair on roads and bridges. We need to look at a dedicated source of funding to ensure our streets, curbs and sidewalks are repaired quickly. The top three issues of my campaign are encouraging entrepreneurship and growing our local economy, investing in our infrastructure needs, and working to build a high school devoted to technical skills and trades. Our city does not do enough to encourage new businesses, much less support current businesses. The business community needs a voice on the city council and I hope to bring people together to successfully support and encourage real economic development for the benefit of our entire community. One critical way of providing that support to our economy is by first crafting a solution to repairing our streets and by bringing key constituency groups to the table to develop a workable solution for long-term transportation issues. Having a School of the Trades in Tacoma would provide high school students with marketable skills in manufacturing and other crafts. We need to grow our economy now and into the future. For me the three most important issues are jobs and the economy, public safety, and helping the homeless. Affordable Housing, Public Transportation and the cost of living is too dang high. Nearly 8,000 people are on the waiting list at Tacoma Housing Authority for housing vouchers and nearly 1,000 individuals are homeless; Tacoma can and must do better. When a single mother can get to work at night on the bus but cant get home when she is done with her shift because the buses do not run late enough; Tacoma can and must do better. When people have to work two or three part time jobs just to ensure their family has a roof over their head and some food on their table; Tacoma can and must do better. This is why I am running, because when I grew up, we didn’t have a lot of income and I learned at an early age that strong communities and strong families matter so Tacoma can and will do better. 3. What differentiates you from your opponents? Besides having the experience of being your representative, one key difference between me and my opponents is that I’m running with the support of a broad balance of residents, organizations, and businesses. I’m my own person, and I strive to represent the people who live in my district rather than narrow political special interests. I am a female 🙂 I bring a solid business background that provides me the knowledge of what it takes to balance a budget and retain excellent community relations. I value the importance of bringing the right people together to achieve consensus and to move policy forward. I am passionate, energetic and determined to make Tacoma the Powerhouse it has the potential to be. What makes me unique from my opponents is that I bring the unique perspective of being an educator and a coach. Being an educator has given me insight into the struggles of many of the families in the community. I have seen how small barriers can stop even the most dedicated, and I want to try and remove barriers to success where I can. I hope to work on the council to support our families and ensure that there continue to be opportunities available to them to improve their lives and their communities. As a coach, I have learned the importance of teamwork, collaboration, creating a plan and executing it. This often means putting aside personal differences or agendas and working together for the ultimate goal. As a coach, I have learned that individuals do not win or lose, the team does and the same is true for the city council. If the council cannot move forward, the members do not lose, the city does. I spent the first 25 years of my life in the city of Philadelphia. I am the only candidate that has experienced extreme poverty while living in a major metropolitan city. I am the only candidate that has experienced homelessness as child, as a teenager and as a young adult. I am the only candidate that is a first generation college graduate. I know what it is like to overcome adversity while maintaining a positive outlook on life. I know how to manage and move through tough situations and how to help others do the same. If you look at my base of supporters you will find people, who come from all walks of life, from those who are still struggling day to day as well as those, who are wealthy. I simply have the most diverse base of supporters. People from all cultural and ethnic backgrounds believe in me and my vision for Tacoma. I am a strong collaborator, a person who unifies people, who is compassionate generous and determined. I am a leader. I am a small business owner that has invested everything I have in two Tacoma businesses. I understand what it takes to be results oriented. It is not about effort, it is about accomplishing. My focus has always been to know the needs and wants of my customers, which is not any different from understanding the wants and needs of our Tacoma citizens. As a small business owner, I have learned to effectively get work done through others. We know we cannot possibly do everything ourselves so we work through others. Working cohesively with other council members and local officials is key to accomplishing our City’s goals. I also understand that earning the trust of my customers as well as those who provide goods to me is an ongoing and life long process. One thing about trust – it can evaporate quickly if it is not constantly reinforced. I have learned to be a good listener. I listen to my customers so I can provide the best goods and services that are readily available. These are all qualities that I have honed over many years and qualities that are extremely valuable to be an effective and productive councilperson. Other than being the only one with military and real leadership experience I’m also the most pragmatic numbers and data based candidate. Regardless of how I personally feel about something I always try to use the actual facts to make decisions. I have the most experience working in the community and our neighborhoods. In additional, because of my professional career I am the only candidate that has understanding of how Tacoma fits into the broader Puget Sound region. As The News Tribune said in their endorsement: “(Justin) has been active in public life, knows city issues and enjoys strong support from leading Democrats in the area” which helps make me the only candidate that is day-one ready. 4. What’s the most misunderstood thing about you? I actually have a really decent singing voice, and used to be in a ton of heavy metal bands back in high school. A bipartisan candidate not tied to either party. My ears are open to my constituents as a whole, so that my actions can stay a true and pure course that considers the greater good for Tacoma. I used to be an offensive lineman in college and I have lost 80 pounds since then. Now I am a serious runner and I have completed 12 marathons (including the Boston Marathon in 2011). Most people think that I was always a runner and when I tell them that I used to play college football, they do not believe me. I think some people don’t understand how challenging it is to have a disability. Being legally blind creates many challenges for me. I rely on rides from friends or family or public transportation to get around. With that said, I still manage to do what I have to do to accomplish my goals. My visual disability forces me to collaborate with others, it forces me to rely on my family and friends, it forces me to be a team player. For some finding common ground, being flexible and coming to consensus is a weakness. For me it is always a strength and an asset that leads to success. I don’t support the current push for a $15 an hour minimum wage, so many people believe I don’t support a livable wage which is absolutely not true. While I believe in a family living wage, I think that any increase to the minimum wage needs to come from the state to ensure there is no competitive disadvantage for businesses. I truly believe the current 15NOW initiative would put the businesses in the City of Tacoma at an unfair economic disadvantage among other local cities. I also believe it could unfairly impact seniors and others who are living on a fixed income, which would not be raised even if local prices increase as a result of this measure. Maybe not misunderstood, but certainly something I haven’t really brought up or made an big deal out of is where I came from. When I was born my mother was very, very young and in a girl’s home in the Bronx. I lived in the Bronx in the late seventies through the eighties, I know what real poverty is. I know what it’s like to go without, to grow up in a neighborhood full of drugs, crime, and gangs. My way out was to join the Army and make something more of myself. Most people look at me and see a white guy doing okay for himself with no idea what it took for me to get here or how hard it was. Because I have been so active in my neighborhood some people think I am just an activist; I am that and more. I love public policy and can really go into the details of city government. We need someone that is active, gets the broader context of our community and then can deliver detailed policies to address the fundamental and systematic issues we face today. 5. What super-power would you want and why? The power to open automated doors a few moments sooner than they would typically open. Because why not? TO FREEZE TIME! It has been very challenging for me to do all that I believe is important for this campaign while running a business. The way I like to tackle objectives so wholeheartedly with boundless energy, dedication and with great tenacity I find there is just not enough time to get to every single house to door knock, to answer every questionnaire that I am presented and although I know I am giving it my all and attending to everything I can, the days sure end up a few hours short of time every day. I would like to be able to teleport. Having the ability to travel and be places in an instant seems to be a great superpower to have. I would like the ability to travel back in time in order to learn and experience what it was like for those who came before us. There is such value in history and I think we take for granted with all the technology and advancements in our daily lives. While we have books and historical documents to detail our past, there is nothing like actual experience to help craft a rewarding destiny. To be able to fly. All the places you could go and all the things you could see, what could be cooler than that. I remember when I was a kid most of us never left the neighborhood (some of us still haven’t) but talked about all the places we’d go to some day, I always wished I could fly. The power to absorb other super powers – thus I can be any super power necessary to solve the problem in front of me. I’d like to thank Anders Ibsen, Tara Doyle Enneking, John Hines, Keith Blocker, Kris Blondin, Valentine Smith, and Justin Leighton for joining me for this special 5 Question Friday. If you haven’t turned in your ballot yet, hopefully this will assist you in your choices.